Week by week your body requirements change so your diet plan do. You need to be extra careful and check if you get all the vitamins and minerals in required quantities or not. You know that when it comes to vitamins, you can get them from vegetables and fruits. 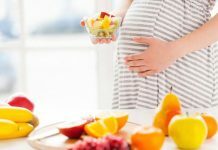 You just need to know which nutrients are essential these 13 to 16 weeks of your pregnancy. As always we suggest you eat 5 small meals rather than 3 large meals. 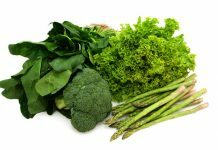 Try to eat raw vegetables or steamed vegetables instead of boiled vegetables; this will help you get most of the nutrients in those vegetables. If you are not sure of your diet then consult your doctor. You may get supplements as well but they can never replace healthy diet. Iron requirement is more now because your body needs to produce more red blood cells for your baby. If you neglect this and if you lack iron then you may become anemic. Try to have iron rich foods as much as possible. Lean red meat is very rich in iron; poultry and fish can also provide you the same. Prefer non-vegetarian source over vegetarian source since iron from non-vegetarian source gets absorbed by the body easily when compared to vegetarian sources. Lentils, spinach, iron fortified breakfast cereals, pulses, etc. should be added to the diet. Many other sources of iron include pomegranate, sapota, broccoli, kiwi, oranges, tangerines, melons, peppers, strawberries, tomatoes, grapefruit, etc. Should You Take Vitamin C? One important point you should know is that iron cannot be absorbed properly if you don’t supplement sufficient vitamin C along with it. This vitamin is essential for the absorption of iron. Include a citrus fruit or its juice along with iron rich diet for better results. It is said that cooking in iron vessels also improve iron content in your food. Few foods which are rich sources of vitamin C are lemons, oranges, red peppers, kale, brussels sprouts, broccoli, strawberries, grapefruit, guava, kiwi, green peppers, etc. Like vitamin C helps in absorption of iron, tannins in tea and coffee can interfere in iron absorption. So, avoid these drinks especially with iron rich foods. If you need to have a cup of tea or coffee then make sure there is an hour gap between your meal and tea or coffee. While it is true that iron from non-vegetarian diet gets absorbed well, we also cannot neglect the fact that there are vegetarian and vegan ladies as well who cannot have these foods. So, the question is how to get iron from vegetarian diet and absorb them too? If you are a vegetarian then you should make sure that you are getting iron in sufficient quantities. Few good sources of iron are dark green leafy vegetables, tofu, fortified breakfast cereals, wholegrain bread, dried fruits and nuts like raisins, figs and dates, soya and soya products, pulses, etc. Keep the breakfast the same way like before. Take whole cereals instead of refined cereals. Try oatmeal porridge or oats in milk with cut fruits or nuts and seeds. Include sandwiches with brown bread or whole grain bread, and fresh vegetables and cheese. Drink a glass of milk if you want or have a bowl of yogurt. Have you tried a meal with cranberries and soft cheese? These are excellent source of vitamin C which is required for iron absorption. You just need to mix the two and spread over a tortilla wrap and top it with watercress. Along with it have cherry tomatoes and a glass of cranberry juice. Pancakes can be a good choice if combined with iron or vitamin C rich food. Spread some blueberry jam over a scotch pancake and top it with few blueberries; you can also try raspberry jam instead of blueberry jam if you like. You can also try porridge made with different kinds of millets, sapota smoothie, pomegranate juice, rice pancake, wheat noodles with vegetable, etc. Tofu and butternut squash is yet another good combination to try. Tofu is rich in calcium and iron and this dish can provide beta-carotene as well. Take butternut halves and place it in a baking tin once the seeds are removed. Drizzle it with oil and cook till it turns soft. Roll the pastry to fit in a round flan tin and fry some onion till they turn soft. When the squash turns soft, remove it and let it cool down. Mush the butternut squash flesh and stir in the onion, tofu and some parsley. Sprinkle some black pepper; spoon this mixture into the pastry case and bake it till done. Sprinkle few pomegranate seeds; open the fruit across middle and over a bowl. Bash each of the halves on the outside using a rolling pin and make sure the seeds pop out. Keep it in the oven once again and cook further. Bring it to room temperature and have it with watercress, fruit salad and potatoes. You can also try many recipes like vegetarian taco salad which uses cilantro, salsa, corn kernels, tomatoes, brown rice, kidney or pinto beans, romaine lettuce and cheese. Broccoli, ham and pasta salad is one of the yummy dishes and nutritious as well. Tofu and broccoli stir fry is an easy dish to make. Try grilled fish tacos where fish provide the iron you need.Try zucchini fennel and white bean pasta with white sauce which taste delicious yet healthy. Try different recipes rich in iron and calcium; make sure your cooking method is healthy.